Today I’m offering this Free Ship Clip Art piece! 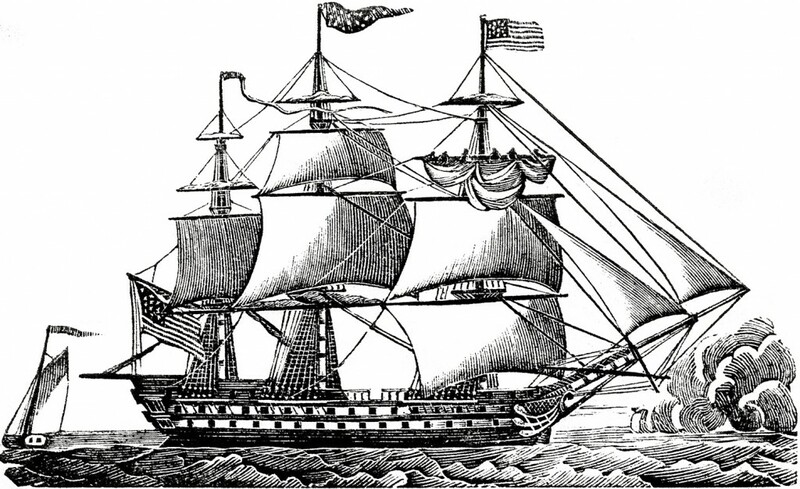 This lovely boat is from an early Printer’s book, Circa 1828. Such a gorgeous image with all the sails, the American Flag, the choppy waves and the little Sailboat in the background. The details is really amazing on this piece, especially considering how old it is! I believe this is most likely a wood print. A nice one for you to use in your Sea theme projects or great for a masculine card! 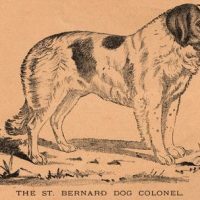 Vintage Doll Image Free Vintage Clip Art – St Bernard Beautiful Vintage Silhouette Frame Image! Karen, this is so cool! It will look great on men’s bookmarks and coasters. Thank you! I agree with Pat, great idea about the coasters Cynthia! Thanks for all you do. I know when I need a certain image I can always find it here! Wonderful and stately thanks so much Karen.